Evaluate what the customer desires, what your competitor does well and what you do well. Where your strengths and the customer’s needs overlap, there is potential for profit. Unfortunately, your competitor will also try to align with the customer’s needs. 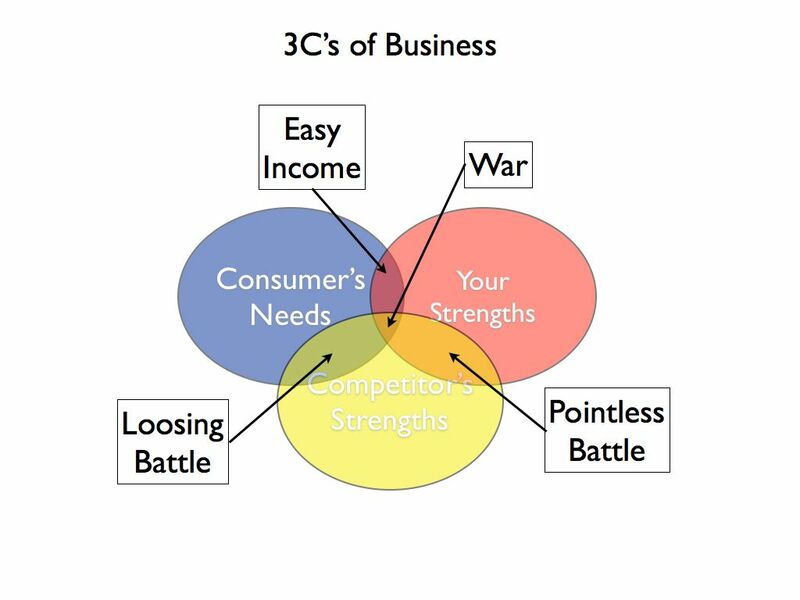 Where your competitor’s and your strengths competition through either lower prices or higher services tends to erode profits. This entry was posted in Uncategorized and tagged business, Marketing by Tim Wolski. Bookmark the permalink.